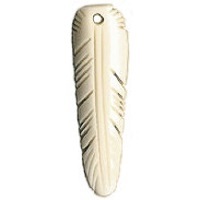 Unique assortment of earthy beads hand carved from natural bone. Because of the individual workmanship and natural occurring variances in organic materials, no two beads will look exactly alike. The photographs depicted are a general representation of the products offered and may differ slightly from bead to bead. Items are packaged loose and priced per bead or by quantity where noted. Colors may vary depending on your monitor settings.